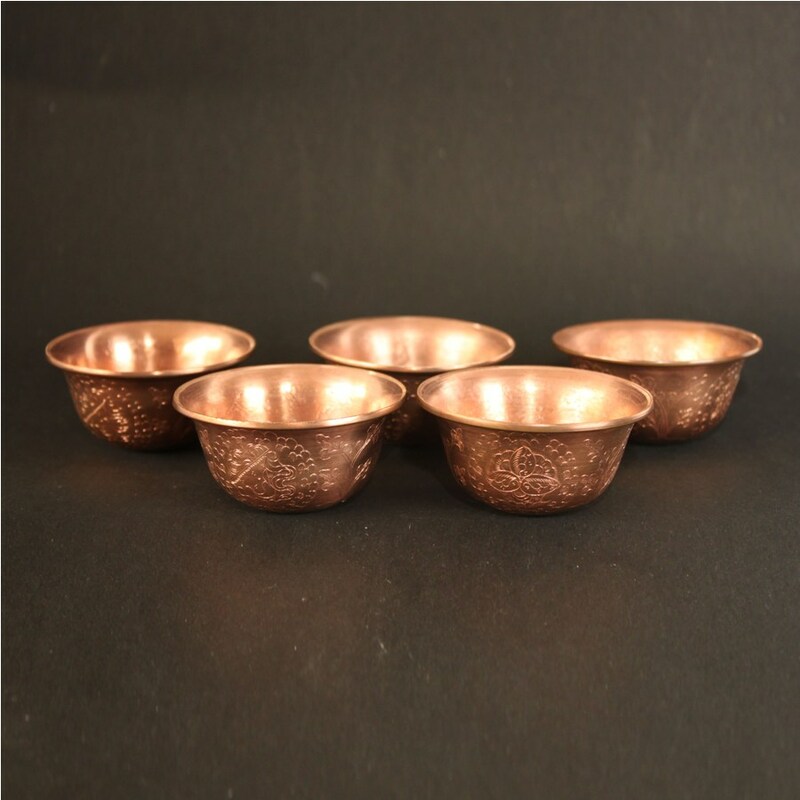 A very traditional and high quality set of copper offering bowls. 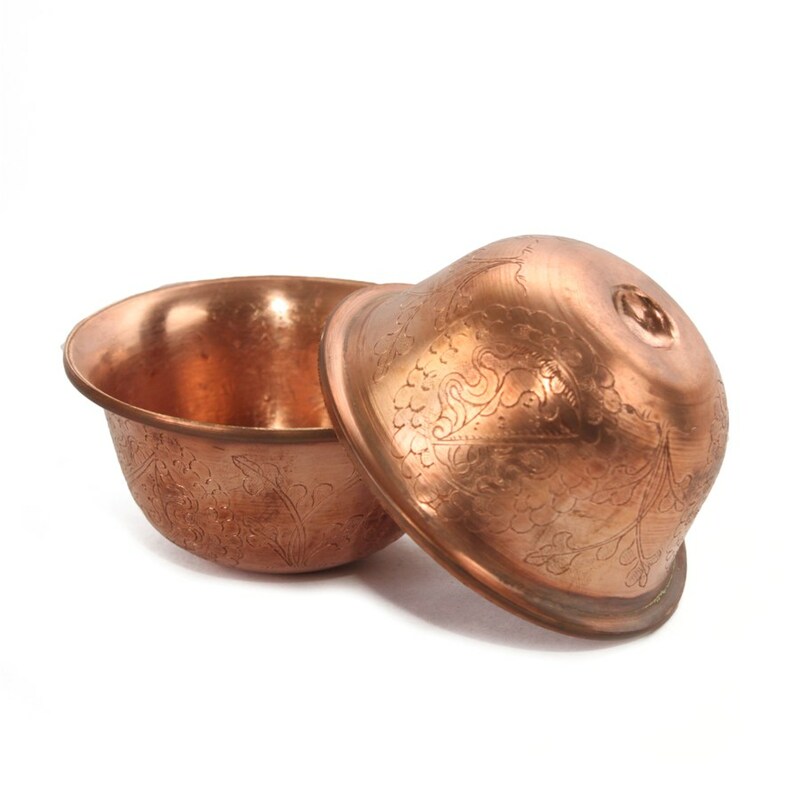 These bowls are hand beaten in copper with a very nice finish and detailed and beautiful engravings. 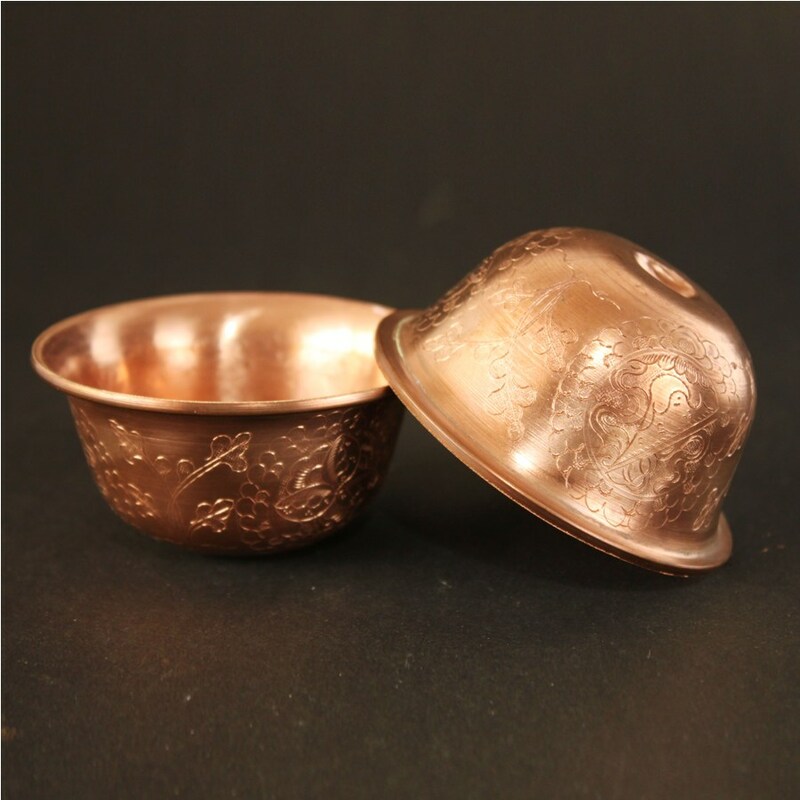 Quality : Hand beaten copper with detailed engraving works. High quality.